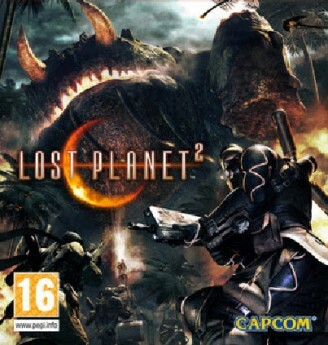 Lost Planet 2 has returned, bigger and better than ever. Utilizing Capcom’s very own MT-Framework 2.0 engine, you can see and feel the improvements straight off the bat. 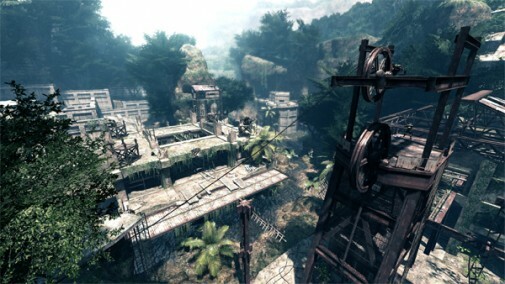 The controls feel more fluid and the setting has shifted from the snow-covered environment of the original to lush, jungle settings, underwater, desert and even space. All of the weapons you’ve grown to love are back. Everything from the original game is here PLUS more , even grenades have their very own category as there are so many of them to choose from. You won’t be disappointed with the amount of weapons and VS’s (Mech armoured suits) and other machinery you can hop into and take for a ride or even fly this time around. Not to mention special weapons of MASS destruction that can take down enemies and Akrid in one shot. 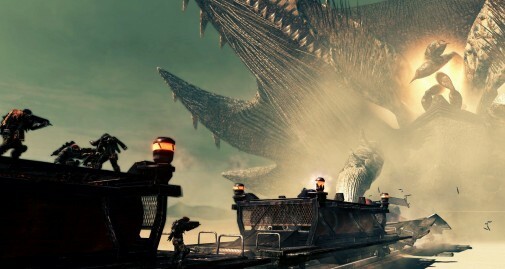 Lost Planet 2 gameplay is action packed and high paced if you’re not taking on the Akrid you’re taking on the many different factions inhabiting the world of E.D.N III. There is never a dull moment. If you’re looking for an action packed game then you’ve come to the right place as Capcom have hit a home run in this department. Combat is the same as it was in the original, but with a few little extra’s thrown in. There are a total of three gauges. First there is your standard health gauge which goes down when you take damage. Then we have the T-Gauge that we all know from Lost Planet. The T-Gauge slowly restores your health when you have taken damage, but at the same time it slowly depletes its reserves. The T-Gauge has been updated in Lost Planet 2 and you get to see what it is capable of doing in the opening scene. Labeled the “Harmonizer”, this little gadget restores your health faster and drains your T-Gauge meter at the same speed it takes to re-gain your health. This comes in handy when you’ve taken a huge hit and are about to die. When activated it your health replenishes almost instantly at the cost of any remaining T-Energy. The third gauge is called the “Battle Gauge”. I like to call this your OVERALL team health. This is shared amongst your team mates. This gauge is possibly one of the most important ones. You don’t want this one to deplete because if it does, then it’s GAME OVER. The way it works is quite simple. If you die, 500 points are deducted from the Battle gauge. If you activate a data post you gain 500 points. Don’t die and keep on activating data posts and your Battle gauge will always stay full and that GAME OVER screen will never appear. BUT … beware – the Akrid you encounter, especially in the boss battles, have other plans as most of them are capable of killing you with one swipe and by doing so your Battle gauge will and can deplete in a matter of minutes if you don’t plan and fight as a team. This is where teamwork is very important. Another feature of data posts is that they also are used as spawn points. So it would be wise to activate as many as possible because if you don’t and you die you might be spawned back right at the beginning of the level and have to run back all the way to where you died to continue fighting. The Lost Planet 2 campaign is broken down into 6 episodes. The campaign is quite lengthy taking approx 10-15 hours to complete even on easy. When starting up campaign mode you feel like you’re in the wrong menu system as it looks very much like an online lobby where you can invite your mates to join you, create private slots, allow public slots for randoms to come in and play along with you, or lock everything up and only play with the AI. It’s a very different feel to playing a campaign but Capcom wanted Lost Planet 2 to be 4 player co-op experience, where you can hop into someone else’s game or get your mates to jump into yours as seamlessly and easily as possible. I believe Capcom have succeeded with this quite well. When playing the campaign mode, a few issues were encountered. Firstly there are no checkpoints to save your progress. As previously mentioned, there are re-spawn points that are available by activating data posts. These only allow you to return to the action if you are killed. However, if you need to exit the game, you can’t return to that last data post you activated on that level. You will need to start from the beginning of that episode and run through the entire level again. In addition, you can’t pause or exit the game whilst in the middle of a level due to Lost Planet 2’s online feature. If you need to quit, you’ll need to run through and complete the entire level before it will allow you to exit out. If you decide to play on your own you can take up to three AI characters along with you for the ride. The AI are fairly competent in performing simple tasks such as healing and taking on the Akrid/Factions/enemies, but as the difficulty levels increase and tasks become more complex you will end up having to do most of the work yourself. One thing missing when playing only with the AI is the ability to command them to perform specific tasks, therefore freeing you up to do other things. Lost Planet 2 is quite linear – there aren’t too many opportunities for exploration or side missions. Maps do occasionally branch out a little and AI or Human partners can take specific paths but ultimately they end up joining back up again. Most of the objectives have you moving from one location to the next, destroying as many Akrid along the way and activating all the data posts you can find. Once you reach your objective a timer will countdown and the mission/level will complete. Make sure you have done everything on the level before stepping into the objective sector as once the timer appears you cannot stop it. Lost Planet 2 has a huge focus on customization. As you progress through the game or whilst playing online, your character gains experience and levels up. By leveling up, you unlock special abilities, weapons, call signs and different skins. There are hundreds of items you can unlock – and this is where the re-playability of Lost Planet 2 comes into full effect. Whilst you can finish the game in 10-15 hours, grabbing yourself some pretty cool items, weapons and gear along the way, you probably would have only unlocked a 1/10 of what’s available in the game. If you were to sit down and play Lost Planet 2 and attempt to unlock every single item you’d probably be looking at close to 200 hours of game play. A great feature is the ability to take your character with you anywhere you go. If you join another person’s campaign or play online in multiplayer your character will be there in all its glory for everyone to see. Gone are the days of having to use a generic character with a set of special abilities, weapons and skins when playing multiplayer or joining a friend’s co-op game. All your hard work can be taken with you. Everything you collect along the way in any campaign and all the experience you gain in multiplayer is added straight to your character. 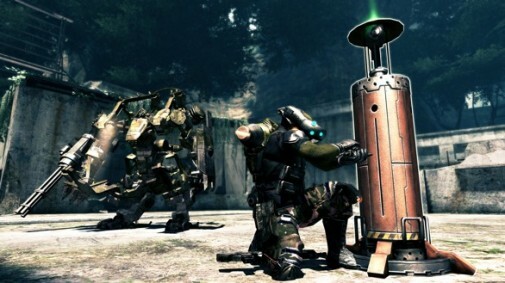 Lost Planet 2 online multiplayer supports up to 16 players and has a total of 10 new maps. Online play is very competitive and quite a challenge, it’s probably recommended you play through the campaign first to build up your character then take him/her online and cause some major damage. Capcom have also extended the re-playability of the online maps by creating what they believe is the first of its kind, entitled map layouts. Each map has a total of 4 map layouts. As always, once you become familiar with a map you learn where all the weapons are hidden and where all the secret spots with certain items are located. With the map layouts those items, weapons, VS’s, data posts are all moved around to different locations. For example, when playing Pirate Fortress on layout 1 you know that a specific weapon is located at so and so spot. But when you play Pirate Fortress on layout 2 that weapon is now in a different location on the map. This does spice up the levels to a certain extent as re-playability is increased. Lost Planet 2 has improved in leaps and bounds from the original. Graphically the environment, special effects and intriguing looking enemies are a pleasure to look at. 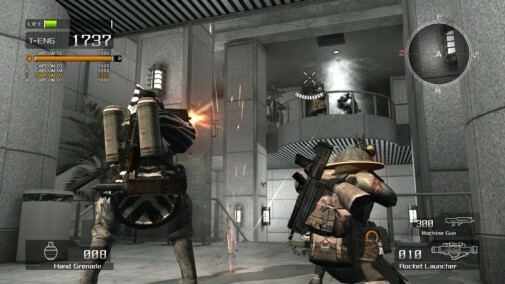 The game-play is fluid and action-packed, but it is recommended to take on the campaign with human players – as AI lack intelligence in certain areas. There isn’t much in terms of music / soundtrack in Lost Planet 2, however the sound effects are quite impressive – especially with surround sound headphones. 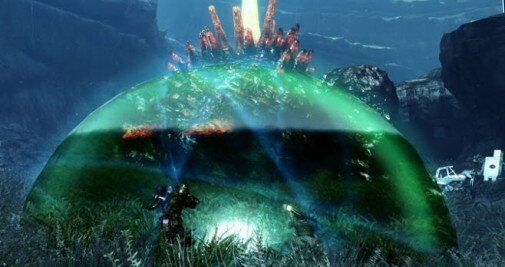 Lost Planet 2 was intended to be played with friends – therefore the emphasis on multiplayer is huge. Playing on your own in campaign mode is just not the same as teaming up with 3 of your closest mates and tactically taking down an Akrid 10 stories tall. If you love your action 3rd person shooters and enjoy playing online with mates then Lost Planet 2 is right up your alley.